Describe how scientists use scientific and geographic literacy, inquiry, and methodology to understand the earth. Determine how natural hazards become disasters and catastrophes. Determine how humans are making natural processes magnified on society. 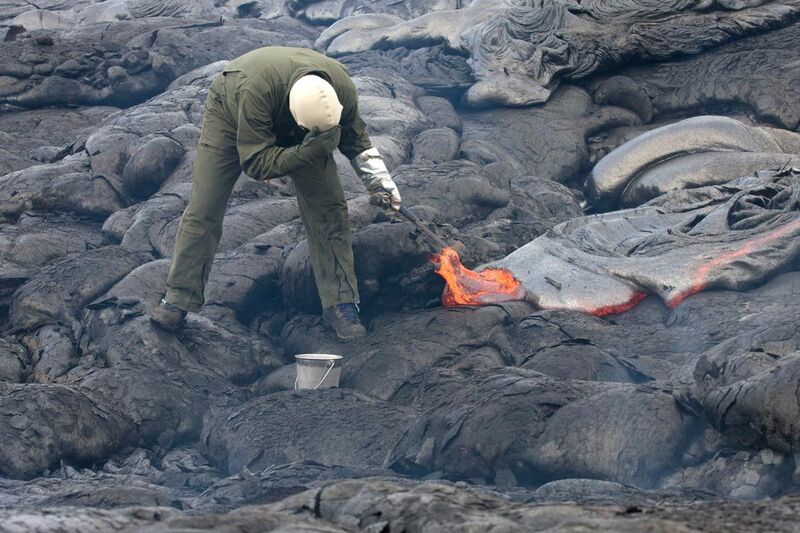 A volcanologist sampling lava using a rock hammer and a bucket of water. Science is a path to gaining knowledge about the natural world. The study of science also includes the body of knowledge that has been collected through scientific inquiry. To conduct a scientific investigation, scientists ask testable questions that can be systematically observed and careful evidenced collected. Then they use logical reasoning and some imagination to develop a testable idea or claim, called a hypotheses, along with explanations to explain the idea. Finally, scientists design and conduct experiments based on their hypotheses. Scientists seek to understand the natural world by asking questions and then trying to answer the questions with evidence and logic. A scientific question must be testable and supported by empirical data; it does not rely on faith or opinion. Our understanding of natural Earth processes help us to understand why earthquakes occur where they do and how to understand the consequences of adding excess greenhouse gases into the atmosphere. Scientific research may be done to build knowledge or to solve problems and lead to scientific discoveries and technological advances. Pure research often aids in the development of applied research. Sometimes the results of pure research may be applied long after the pure research was completed. Other times something unexpected is discovered while scientists are conducting their research. Some ideas are not testable. For example, supernatural phenomena, such as stories of ghosts, werewolves, or vampires, cannot be tested. Scientists describe what they see, whether in nature or in a laboratory. Science lies in the realm of facts, observations, and empirical evidence, not in the realm of moral judgments. Scientists might enjoy studying tornadoes, but their opinion that tornadoes are exciting is not important to learning about them. Science has helped society increase our knowledge and understanding of the physical and cultural world we live in, but it does not determine how we should use that knowledge to advance humanity. Scientists learned to build an atomic bomb, but scientists didn’t decide whether or when to use it. Scientists have accumulated data on warming temperatures; heir models have shown the likely causes of this warming. But although scientists are largely in agreement on the causes of global warming, they can’t force politicians or individuals to pass laws or change behaviors. For science to work, scientists must make some assumptions. The rules of nature, whether simple or complex, are the same everywhere in the universe. Natural events, structures, and landforms have natural causes and evidence from the natural world can be used to learn about those causes. The objects and events in nature can be understood through careful, systematic study. Scientific ideas can change if we gather new data or learn more. An idea, even one that is accepted today, may need to be changed slightly or be entirely replaced if new evidence is found that contradicts it. Scientific knowledge can withstand the test of time because accepted ideas in science become more reliable as they survive more tests. Geography is the study of the physical and cultural environments of the earth. What makes geography different from other disciplines is it's focus on spatial inquiry and analysis and how they change over time. Geographers also try to look for spatial and historical connections between things such as patterns, distribution, movement and migration, flow, trends and more. This process is called geographic or spatial inquiry. In order to to this, geographers go through a geographic methodology that is quite similar to the scientific method, but again with a geographic or spatial emphasis. This method can be simplified in a six step geographic inquiry process. ​Ask a geographic question. This means to ask questions about spatial relationships in the world around you. Acquire geographic resources. Identify data and information that you need t answer your question. Analyze geographic information. Determine what the patterns and relationships mean with respect to your question. You have probably learned that the scientific method is a series of steps that help to investigate To answer those questions, scientists use data and evidence gathered from observations, experience, or experiments to answer their questions. But scientific inquiry rarely proceeds in the same sequence of steps outlined by the scientific method. For example, the order of the steps might change because more questions arise from the data that is collected. Still, to come to verifiable conclusions, logical, repeatable steps of the scientific method must be followed. A flow chart of how science works that is much more accurate than the simple chart above is found here: . This video of The Scientific Method Made Easy explains scientific method succinctly and well. Earth science can answer testable questions about the natural world. What makes a question impossible to test? Some un-testable questions are whether ghosts exist or whether there is life after death. A testable question might be about how to reduce soil erosion on a farm. A farmer has heard of a planting method called “no-till farming.” Using this process eliminates the need for plowing the land. The farmer’s question is: Will no-till farming reduce the erosion of the farmland? To answer a question, a scientist first finds out what is already known about the topic by reading books and magazines, searching the Internet, and talking to experts. This information will allow the scientist to create a good experimental design. If this question has already been answered, the research may be enough or it may lead to new questions. Example: The farmer researches no-till farming on the Internet, at the library, at the local farming supply store, and elsewhere. He learns about various farming methods, as illustrated in the Figure 1.3. He learns what type of fertilizer is best to use and what the best crop spacing would be. From his research he learns that no-till farming can be a way to reduce carbon dioxide emissions into the atmosphere, which helps in the fight against global warming. With the information collected from background research, the scientist creates a plausible explanation for the question. This is a hypothesis. The hypothesis must directly relate to the question and must be testable using empirical evidence. Having a hypothesis guides a scientist in designing experiment, collecting data, and analyzing and interpreting the results. The hypothesis is always stated as an explanation and not a question. Example: The farmer’s hypothesis is this: No-till farming will decrease soil erosion on hills of similar steepness as compared to the traditional farming technique because there will be fewer disturbances to the soil. To support or refute a hypothesis, the scientist must collect data. A great deal of logic and effort goes into designing tests to collect data so the data can answer scientific questions. Data is usually collected by experiment or observation. Sometimes improvements in technology will allow new tests to better address a hypothesis. Observation is used to collect data when it is not possible for practical or ethical reasons to perform experiments. Written descriptions are qualitative data based on observations. This data may also be used to answer questions. Scientists use many different types of instruments to make quantitative measurements. Electron microscopes can be used to explore tiny objects or telescopes to learn about the universe. Probes make observations where it is too dangerous or too impractical for scientists to go. Data from the probes travels through cables or through space to a computer where it is manipulated by scientists. Experiments may involve chemicals and test tubes, or they may require advanced technologies like a high-powered electron microscope or radio telescope. Atmospheric scientists may collect data by analyzing the gases present in gas samples, and geochemists may perform chemical analyses on rock samples. A good experiment must have one factor that can be manipulated or changed. This is the independent variable. The rest of the factors must remain the same. They are the experimental controls. The outcome of the experiment, or what changes as a result of the experiment, is the dependent variable. The dependent variable “depends” on the independent variable. The independent variable is the farming technique—either traditional or no-till—because that is what is being manipulated. For a fair comparison of the two farming techniques, the two hills must have the same slope and the same amount of fertilizer and water. These are the experimental controls. The amount of erosion is the dependent variable. It is what the farmer is measuring. During an experiment, scientists make many measurements. Data in the form of numbers is quantitative. Data gathered from advanced equipment usually goes directly into a computer, or the scientist may put the data into a spreadsheet. The data then can be manipulated. Charts and tables display data and should be clearly labeled. Statistical analysis makes more effective use of data by allowing scientists to show relationships between different categories of data. Statistics can make sense of the variability in a data set. Graphs help scientists to visually understand the relationships between data. Pictures are created so that other people who are interested can see the relationships easily. In just about every human endeavor, errors are unavoidable. In a scientific experiment, this is called experimental error. What are the sources of experimental errors? Systematic errors may be inherent in the experimental setup so that the numbers are always skewed in one direction. For example, a scale may always measure one-half ounce high. The error will disappear if the scale is re-calibrated. Random errors occur because a measurement is not made precisely. For example, a stopwatch may be stopped too soon or too late. To correct for this type of error, many measurements are taken and then averaged. If a result is inconsistent with the results from other samples and many tests have been done, it is likely that a mistake was made in that experiment and the inconsistent data point can be thrown out. Scientists study graphs, tables, diagrams, images, descriptions, and all other available data to draw a conclusion from their experiments. Is there an answer to the question based on the results of the experiments? Was the hypothesis supported? Some experiments completely support a hypothesis and some do not. If a hypothesis is shown to be wrong, the experiment was not a failure because all experimental results contribute to knowledge. Experiments that do or do not support a hypothesis may lead to even more questions, more experiments and more answers. ​As scientists conduct experiments and make observations to test a hypothesis, over time they collect a lot of data. If a hypothesis explains all the data and none of the data contradicts the hypothesis, the hypothesis becomes a theory. A scientific theory is supported by many observations and has no major inconsistencies. A theory must be constantly tested and revised. Once a theory has been developed, it can be used to predict behavior. A theory provides a model of reality that is simpler than the phenomenon itself. Even a theory can be overthrown if conflicting data is discovered. However, a longstanding theory that has lots of evidence to back it up is less likely to be overthrown than a newer theory. Science does not prove anything beyond a shadow of a doubt; scientists seek evidence that supports or refutes an idea. If there is no significant evidence to refute an idea and a lot of evidence to support it, the idea is accepted. The more lines of evidence that support an idea, the more likely it will stand the test of time. The value of a theory is when scientists can use it to offer reliable explanations and make accurate predictions. Because of the scientific method, we now understand where and why most natural disasters occur. For example, because of the theory of plate tectonics, we understand why nearly 90 percent of all earthquakes and volcanoes occur along the outer edges of the Pacific Ocean, called the Ring of Fire. The theory of plate tectonics has also helped to explain why some volcanoes are more explosive and active than others. We also understand that different tectonic plate boundaries produce different fault lines and thus different types of earthquakes. Many natural hazards have seasons, especially those controlled by external forces. The United States has more tornadoes than the rest of the world combined and yet most only occur in the spring and early fall. Landslides are more prone in the spring when snow begins to melt and the saturated ground causes unstable slopes to slide. Wildfires are common in the middle of the summer and early fall when the land is dry and afternoon thunderstorms in arid climates produce lightning without any precipitation. And hurricane season in the Northern Hemisphere peaks between August and September when the Atlantic Ocean is warmest. Since hazards are statistically predictable in some manner, it becomes important to develop some kind of warning system. Predictions, such as weather predictions, state that it will occur at a specified time, date, and intensity. It is like saying, "a major snowstorm will reach Salt Lake City at 4:30 PM for the commute home." A forecast states a probability of something occurring; such as "a 40 percent of showers today." Forecasts are much more broad than predictions. When a natural disaster event is about to happen or has occurred, a system has been set up to alert the general public. A watch is issued when the conditions for a particular event are right. So if a severe thunderstorm is strong enough and rotating, it is possible that a tornado may form. Or if an earthquake with a magnitude of 7.5 strikes somewhere in the ocean, a tsunami watch may be issued because the earthquake was strong enough to generate one. But a watch does not necessarily mean that it will occur. But if a tornado is spotted on the ground or a ocean sensor records an approaching tsunami, then a warning is sent out to the areas that could be impacted. In order to understand how to prepare for a natural hazard, a risk assessment must be conducted for a specific geographic area. The risk of a potential hazard is defined as probability of a disaster times the consequence to the human environment. It is important to determine the potential risk a location has for any particular disaster in order to know how to prepare for one. Referring back to Salt Lake City again, the probability of an earthquake occurring anytime soon is small, but the consequences to human lives and destruction are very high. Thus there is a moderately high risk of an earthquake striking Salt Lake City. One of the limiting factors of risk is knowing the probability of a disaster. Too often scientific data is lacking enough information to determine how often a disaster occurs for a particular location. This is particularly true with geologic hazards, where geologic time is vastly larger than the age of scientific reasoning. What is the difference between a natural hazard, a disaster, or a catastrophe? A hazard is any natural process or even that poses a direct threat to the human environment. The event itself is not a hazard; rather, a process or event becomes a hazard when it threatens human interests. A disaster is the effect of a hazard on society, usually as an event that occurs over a limited time in a defined geographic area. The term disaster is used when the interaction between humans and a natural process results in significant property damage, injuries, or loss of life. Finally, a catastrophe is a massive disaster that greatly impacted the human environment and requiring significant expenditure of time, money, and resources for response and recovery. Currently the earthquake that is expected to strike Salt Lake City is just a hazard, a natural process that poses a potential treat the human environment, because it hasn't occurred yet. If that earthquake turns out to be a moderate 5.0 magnitude earthquake than it will likely be considered a disaster. But if the expected 7.0 to 7.5 magnitude earthquake were to occur, it would be considered a catastrophe because thousands of people will likely perish, tens of thousands will be injured, and the economic cost will be in the billions of dollars. 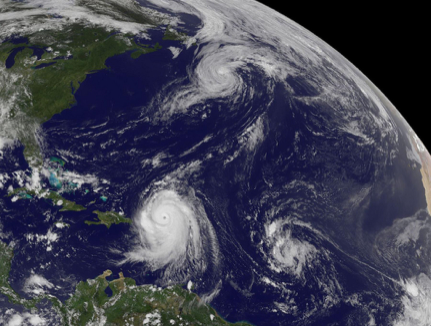 An article by NASA titled The Rising Costs of Natural Hazards talks about how the financial and human cost of natural disasters is rising. To help prepare for these disasters, better mitigation efforts will be required such as proper building and zoning codes, first responder preparedness, and public education. Natural hazards tend to produce more natural hazards. A major landslide may destabilize a slope and cause more landslides to occur. An earthquake in Salt Lake City is likely to also cause landslides, fires, and the ground to liquefy (liquefaction). Hurricanes tend to produce damaging winds, tornadoes, and flooding. Thus it is important to know which disasters are likely to occur in any particular area and what their effects might be. In the summer of 2008, China was rocked by a magnitude 8.0 earthquake that killed over 80,000 people. A week earlier a cyclone struck Burma killing 130,000. On January 12, 2010 a magnitude 7.0 earthquake killed nearly 300,000 people and leveled the capital city of Port-a-Prince in Haiti. On March 11, 2011 a magnitude 9.0 earthquake generated a tsunami off the coast of eastern Japan, killing 30,000 people. Are natural disasters getting worse? Not really. Humans are over-populating the earth and living in more hazard-prone areas. Over the last 70 years, the world's population has tripled to 6.7 billion. World population projections suggest that the human population will reach 9 billion by 2050. by exponentially grow and by 2050 the world's population will reach 9 billion. 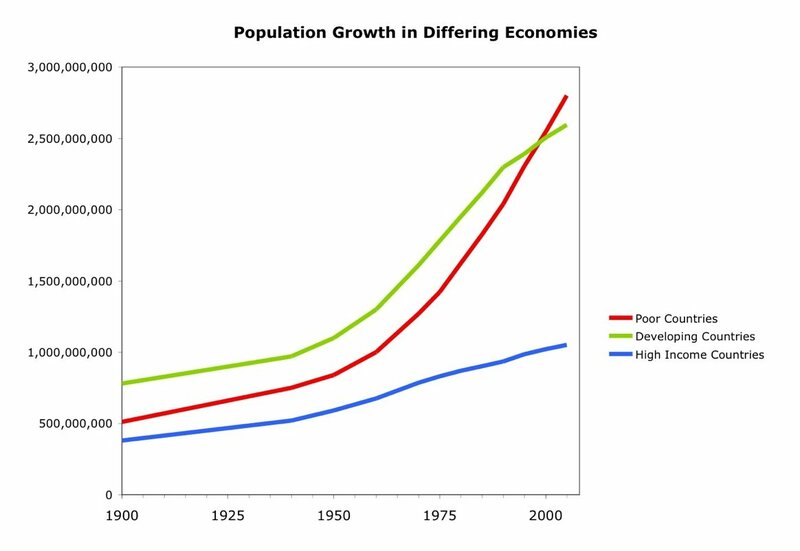 Exponential growth means the world's population will not grow linearly (in a straight line), but rather as a percent. 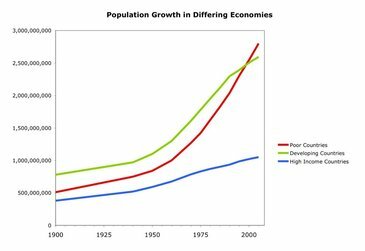 Our increased population size has caused air quality to suffer, reduced the availability of clean drinking water, increased the world's extreme poverty rate, and has made us more prone to natural hazards. Too often we react to natural disasters rather than prepare or mitigate for them. Look at New Orleans with Hurricane Katrina. The scientists and engineers had said for years that the levees would not withstand a strong hurricane, but it would cost over $6 billion to upgrade them. Not that the has disaster occurred, we are now rebuilding the levees (most have found the money) at the expense of 1,500 lives and nearly $200 billion in damages. He need to change this mentality. Too often we say the government does not have the right to tell me where I can or can not live, but when the disaster strikes we expect the government to bail up out. Sounds a little like the financial crisis. ​There are two types of effects caused by natural disasters: direct and indirect. Direct effects, also called primary effects, include destroyed infrastructure and buildings, injuries, separated families, and even death. Indirect, sometimes called secondary effects, are things like contaminated water, disease, and financial loses. In other words, indirect effects are things that happen after the disaster has occurred. There are two forces that generate natural hazards. The first are internal forces, generated by the internal heat of the earth and creates geologic hazards like earthquakes, volcanoes, and tsunamis. In Chapter 2, you will learn about this process called plate tectonics. 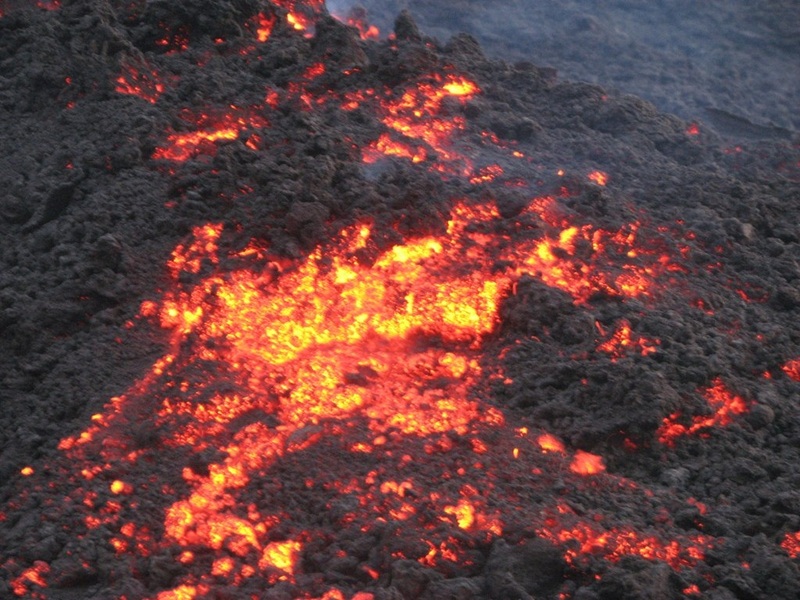 This theory proposes that internal heating from the earth's core causes large tectonic plates, that make up the planet's continents and oceans, to move around like bumper cars, where they either slam into each other or pull apart. External forces influence weather, climate, and landslides. Heating from the Sun causes differential heating on the surface that ultimately create our weather and all the hazards associated with it. It is these external forces that create flash floods, tornadoes, hurricanes, supercells, and climatic disasters such as droughts and famines. As human populations have grown and expanded, and technology has allowed for us to manipulate the environment, natural disasters have become more complex and arguable more "unnatural." There are a variety of ways how humans have not only influenced, but magnified the impacts of disasters on society. For purposes of simplification, this book is going to narrow it down to four: human population growth, poverty and inequality, environmental degradation, and climate change.